If you would like to make a donation to MSC Kyle Sports please print the form and mail to the address on the form. All proceeds benefit our inclusion adaptive sports equipment. All donations are tax deductible. Thank you for your support. 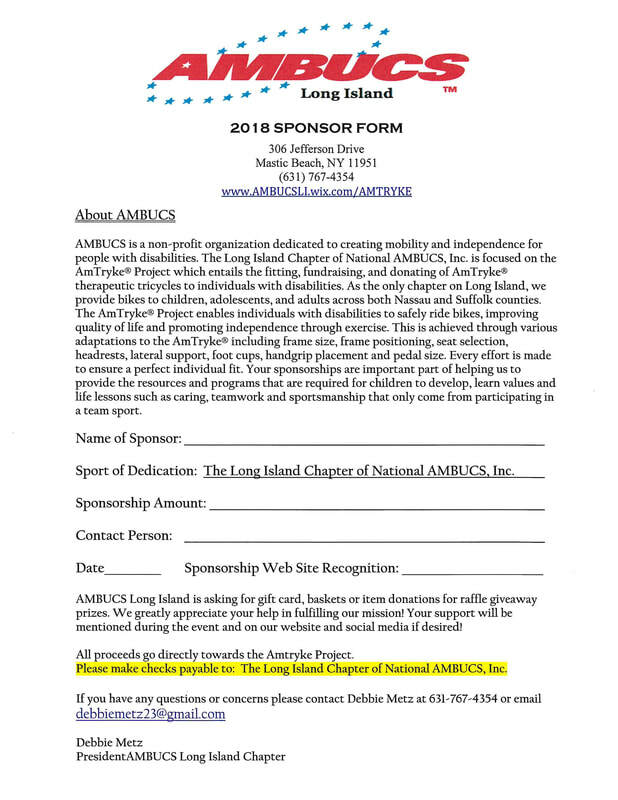 If you would like to make a donation to AMBUCS Long Island please print the form and mail to the address on the form. All proceeds benefit our adaptive bike program. All donations are tax deductible. Thank you for your support.